Australia last played Test cricket in India four years ago. MJ Clarke was captain. SPD Smith was not even in the team for the 1st Test. M Arthur was coach. S Tendulkar played his last series. Pundits were not confident of Australia’s chances. EJM Cowan, DA Warner, PJ Hughes, SR Watson, MJ Clarke, MS Wade, MC Henriques, MA Starc, PM Siddle, JL Pattinson, NM Lyon. Over the series, selection was varied and selection was confused. Factions, roles, personalities, all played parts. As did form. In the 2nd Test, Australia’s bowling line-up was JL Pattinson, PM Siddle, MC Henriques, XJ Doherty and GJ Maxwell. Look at those Indian first innings totals: 572, 503, 499, 272. Look at those corresponding Australian totals: 380, 237/9d, 408, 262. Coughing up leads of 200, 260, 90, 10. India coming off a home series win over England. Australia beaten at home by South Africa, then defeating Pakistan. What have the players learned? What have the selectors learned? Some are writing off Australia. But who will write of the Test series? 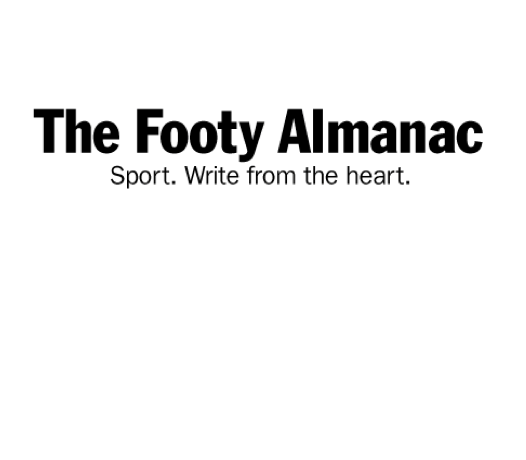 Put your hand up to file a report, a story, an observation for the Footy Almanac, below. All Almanac cricket stories are here. Please pencil me in for Friday – day 2. I’ll get one in for either today or tomorrow. How will you “see” it? This is perhaps the only time in a 4 year cycle that part of me wishes for PayTV. As a starting point, it would help immeasurably if the Australian selectors knew what their best XI was. Also, if evidence of performance in Shield cricket was held in higher regard. Looking back, one striking aspect of the 2013 India tour is the chopping and changing in team selection. Good luck to those selected. Well may they *adapt* their natural games as match and pitch and opposition conditions dictate. SPD Smith wins the toss. Apparently the pitch is like the Hume Highway.